SKU: LS123. Categories: Pendants, Sea Shells, Silver Sealife. Tag: Large Turtle Shell Pendant. 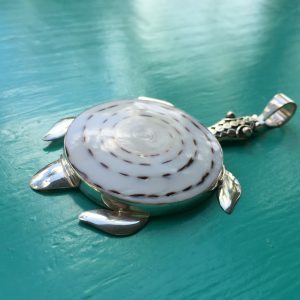 This large Turtle Shell Pendant is amazing. 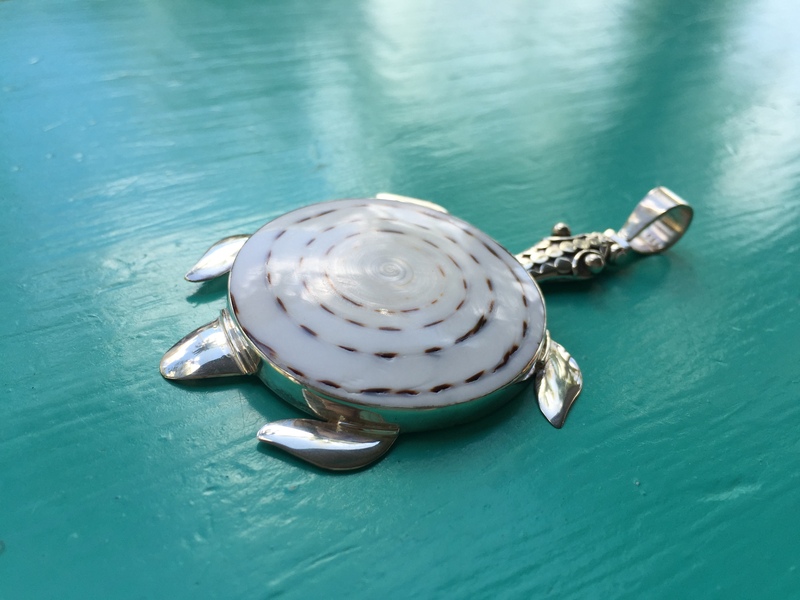 A seashell is used to form the body of a turtle which is then set into a sterling silver Turtle pendant. This is a real eye catching piece which is sure to attract many comments and admiring glances. It looks great on a choker or a chain. Even a very long wasit length chain. We love Turtles in Antigua where the waters and reefs are home to many. Amongst others, we have the protected Hawksbill Turtle nesting and enjoying the caribbean waters. If your very lucky you may see them come to shore to lay their eggs during nesting season. Or out on the water see them bobbing their heads up out of the ocean. So what better way to show your love of turtles than this large Turtle Seashell pendant. Also be sure to check out our matching Turtle Earrings.